CM: What were some of the highlights for the Auto Care Association in 2018? BH: We identified four key areas for the association to focus on. The first two are related to guaranteeing the end user the right to be able to access and control where their vehicle’s data is being sent. On the access side, when we talk to the automakers and to people on the Hill, the first argument [against data access]is it has to be a cybersecure solution. So we are fully behind and fully invested in a system called the Secure Vehicle Interface, or SVI for short. SVI is a set of standards that allow cybersecure access to a vehicle’s data. We’ve been working on SVI through a series of three ISO standards. Two of those standards have been approved, and one is in committee, and we’re sure that’s going to be approved as well. We launched a working demonstration of the SVI at AAPEX. On the control side, we’re involved in advocacy at the state and federal levels to legislatively guarantee the consumer’s right to be able to access and control their vehicle’s data. We’re working in Massachusetts for a new Right to Repair Act that includes telematics. We’re working on the federal level with the lawmakers and the agencies themselves to promote the consumer’s right to be able to have access to the data. We’ve introduced a bill in Massachusetts, and we also could have a ballot initiative in Massachusetts to back that up. We’re hoping we will either have a new law passed by 2020 in Massachusetts or a ballot referendum passed after the election in 2020. Two of the other major initiatives fall under the category of supply chain efficiency. We know margins are tight, and everyone’s looking for an advantage to be able to compete with the OEMs or the dealerships. In most cases, we’re able to deliver a part in less than an hour, but there’s still opportunity for improvement. One of the tools we’re working on to improve efficiency in our industry is called the Global Vehicle Identifier, and we’ll be introducing it at the ACPN Knowledge Exchange Conference [April 28-May 1 in Tampa, Florida]. The Global Vehicle Identifier enables product-management groups from the distribution side and from the manufacturer’s side to be able to look at a vehicle’s platform rather than year, make and model. And that greatly increases the efficiency of product management. Another data product is something we’re calling the Demand Index, although there’s a new name we’ll reveal at a later date. For years there’s been a void of POS data for distributors, retailers or manufacturers to be able to judge how their product categories are performing. The Demand Index aggregates point-of-sale data from all the major distributors on 10 different product categories and then we’re able to say, for example, on brake pads, Month 1 the demand index is at 100, Month 2 it’s at 102, etc. So now we can see the brake-pad category has grown by 2 percentage points in a month’s period, and organizations can judge their performance against the aggregated data. That’s it in its very simplistic form. 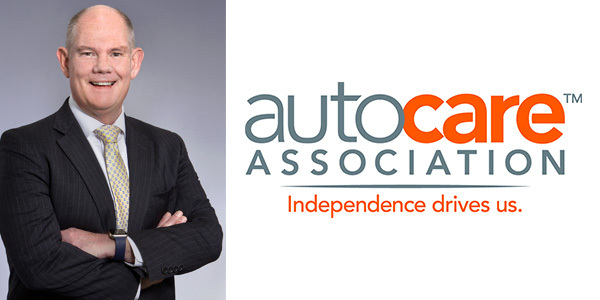 CM: What does the Auto Care Association have planned for 2019? BH: We need to get the Secure Vehicle Interface adopted. We need to get Massachusetts [to adopt a data-access bill], or better yet, we need an agreement with the automakers – that would be ideal. We’re still open and amenable to that, but we know we’ll probably have to go the legislative route. We’re very much working on the Global Vehicle Identifier. 2019 also is going to entail a deep dive into the membership in order for us to more effectively communicate, on an individual basis, with our member companies and customize more products and offerings for our individual members, and a continued emphasis on providing supply chain efficiency through data products. BH: So much of that question depends upon the tariffs. A very consistent theme of mine [in discussions with lawmakers]is the cost of a pair of brake rotors will go from about $280 to $400 for the consumer. If you’re a single mom and are living paycheck-to-paycheck, are you going to be able to afford that extra $120? And do you want to be on the road with somebody who has delayed a brake job by six months? How about someone who has delayed a strut job, which affects their braking distance? So not only are the tariffs an economic concern, but they’re a safety concern. Obviously, the average age of the vehicle is 11.7 years, but what people don’t really hang their hat on is that by 2020, there are going to be 85 million vehicles over the age of 16 on America’s roads. That has more than doubled in a 15-year period. So people are holding onto their cars longer. Everybody talks about technology [and its potential impact on the aftermarket], but the older vehicle is a great opportunity for us, and we have so many vehicles that are out of warranty and are in the repair age. That’s a very positive tailwind for our industry. BH: Tariffs are the No. 1 concern right now. It’s very complicated, and it’s very time-consuming [for the industry]. Of course, telematics is a major issue. We’re also keeping a close eye on ride-sharing and car-sharing, and we just introduced a new study on that. E-tailing is another trend that we’re watching. Whether you’re a wholesaler or a retailer, that’s a perfect opportunity for you to reach the customer directly. We just introduced a new e-tailing report that‘s been met with very positive feedback. Everybody is talking about electrification. While that’s certainly part of our future, it’s not going to happen overnight. We need to look at the technology in vehicles today – such as start-stop and hybrid – and the opportunities they offer for our industry. Those categories right now are very small, but it’s our responsibility to see what the growth rate for those is and the impact on the industry, and make sure our members can make good decisions based on data we provide to them.